The best way to try a new subscription box? With a deep discount! Here is a list of over 20 monthly subscription boxes that have deals for at least 50% off your first box! This is list was UPDATED on 3/19/2019 with new deals! 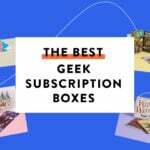 (FYI – many of these are first-month discount offers, if you use those and don’t cancel your subscription, you will continue to receive boxes and be charged at the regular rate listed for each box). Daily Harvest is a subscription service that delivers ready-to-blend smoothies right to your door. You can choose from 14 different flavors or choose a preselected flavor boxes: Bestsellers, Fresh & Fruity, Greens Incognito, Greens Obsessed, and Rich & Filling. If you need help picking what smoothies you’ll like best, they have a Flavor Quiz to help sort through all the options. Check out our Daily Harvest reviews to see what you can expect from this subscription! Check out our Society Socks Reviews to learn more about this men’s sock subscription! Home Chef is a subscription meal delivery service that sends a weekly box of “perfectly portioned, premium ingredients, spices & sauces, and easy, step-by-step recipes.” Meals start at $9.95 per serving, and delivery is free for orders over $40. New Customers: Get $30 off your first box, no coupon needed, just sign up here! Check out all of our Home Chef reviews to learn more about the recipes you typically find in Home Chef boxes! New subscribers get 50% off their first month of Gadget Discovery Club, no coupon needed, just sign up here! Gadget Discovery Club (regularly $29.99/month with free shipping) is the only gadget subscription box that we know of! Subscribers receive a new state-of-the-art gadget each month, including items like smart home devices, bluetooth speakers, and the latest in wearable tech. Check out our Gadget Discovery Club Review to learn more! Driftaway Coffee is a weekly, bi-weekly, or monthly coffee subscription that delivers new and different coffees based on your tasting feedback. Your first delivery will be a tasting kit containing four 2 oz packages of different single origin beans, followed by 7 oz ($12), 11 oz ($16) or 16 oz ($22), or 32 oz ($34) bags of coffee each delivery. You can choose to receive coffee weekly, biweekly, or monthly. Check out our Driftaway Coffee Reviews to learn more! Save $20 (50%) off your first 3 bottles, no coupon required, just use this link. Check out our previous Winc Reviews to learn more about this box! Save $20 Off Your First Month’s Membership with this link. Check out our reviews of Candy Club to see what you can expect with this subscription box! Hello Fresh is a weekly meal delivery subscription that sends healthy recipes and the pre-measured ingredients you need to make them at home. Prices start at $9.99 per meal. Get $30 off your first Hello Fresh order, no coupon needed, just sign up here! Check out our Hello Fresh Reviews to see what you can expect from this box! Bright Cellars (regularly $60/month + $8 shipping) is a monthly wine subscription that matches you to wine based on seven question quiz that helps to identify your wine palate. Founded by two MIT grads with a passion for wine and technology, each month you’ll receivea 4-bottle recommendation to review. You can either agree with their selections and proceed to purchase, or you can switch out one or more of the bottles. Get 50% off your first month of Bright Cellars, no coupon required, just sign up here! Check out all of our Bright Cellars Reviews to learn more! Blue Apron is a subscription meal delivery service. Every week, they send seasonal recipes created by their culinary team and the pre-measured ingredients you need to make them at home. Check out all of our Blue Apron Reviews to learn more about our experience with this meal subscription! Blue Apron is regularly $59.94 for 3 recipes with two servings each on the 2-Person Plan, but you can get $30 off on your first order when you use this link! Nadine West is a subscription styling service for women sizes Small to 3X. Subscribers fill out a style quiz and are sent an outfit (2-4 items, usually 1 apparel item plus accessories) every month based on their style preferences. There is no styling fee, but there is a shipping fee ($9.78) that is credited toward the cost of anything you keep. Their items are priced lower than other styling services, ranging from $10 – $25 per piece. Use referral code NADINE to waive shipping fees on your first box! That means you can get your first box totally risk-free, with no styling fee and no shipping fee (normally $9.78). You’ll pay only for items you decide to keep! Bean Box is a monthly coffee subscription box where you’ll get monthly coffee deliveries from Seattle’s premier coffee roasters. With their Bean Box Sampler (regularly $20/month), you will receive four 1.8oz samples of different coffee roasts, shipped fresh within 1 day of roasting. For a limited time, use code MYSUBADD10 to get your first month of the Bean Box Sampler for $10 plus shipping! Check our our Bean Box Reviews to learn more! Rocksbox (regularly $21/month) is a monthly subscription box for jewelry rental. Receive 3 pieces of hand-selected jewelry in every box. Wear them as long as you like, and then return them in a pre-paid shipping envelope to swap them out for a new set. Subscribers also get $21 in “Shine Credit” each month that they can use towards buying the jewelry to keep (Shine Credits do not roll over). Use this link to get your first box for FREE with coupon code mysubaddictxoxo! LIMITED TIME DEAL: Now through 9/16, get a 4-snack sampler box FREE– plus get your second box for 50% off (just $6.99!) when you sign up here! 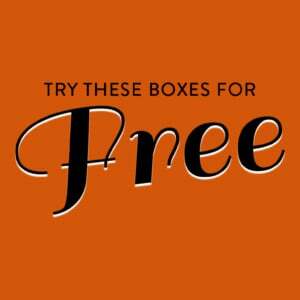 OR: Get your first box free, no coupon required, just use this link. Check out all of our Graze reviews to see what you can expect from this subscription. Field to Cup‘s Tea Discovery Plus Box sends you 7 high quality and delicious loose leaf teas to try every month (48+ cups). Membership perks include 40% off every month from the teas in your box, 15% off all other items in their store and Free tea replacement for any tea you don’t love. You’ll also receive a Steeping Guide every month that gives you detailed preparation methods, expert tasting notes and more. Use code MSA50 for 50% off when you sign up for the Tea Discovery Plus Box! Check out all of our Field to Cup Reviews to learn more about this tea subscription box! FabKids is a monthly clothing subscription for boys and girls. Each month you get to pick out an outfit for $29.95, or you can skip any month. All the pieces are really well-made, and the designs are unique to FabKids. Each month they release a new collection! Get two pairs of shoes for only $9.95 with free shipping, no coupon required, just use this link! Check out our FabKids reviews to learn more about this subscription box! Green Piñata is a monthly rental subscription toy box for kids, from six months to 5 years of age. Each box is customized with educational and toxic-free toys. Before your box ships, you can either select your own toys from their extensive catalog or approve the recommendations from Green Piñata. Play and explore with your child, return anything you don’t wish to keep or purchase the toys your child can’t part with! Check out all of our Green Piñata reviews to learn more! Get your first month for free, no coupon required, just use this link! Check out our Gwynnie Bee reviews to learn more about this subscription box. Use this link to get your second month free when you sign up for a Scentbird subscription – AKA two months at 50% off! Check out our ScentBird reviews to learn more about this subscription! Curology (regularly $19.95/month) is a unique and totally personalized prescription skincare subscription service that targets acne and pairs you with a licensed dermatologist and sends you prescription medication every month or every other month. Get your first month of Curology for free, no coupon needed, just use this link! Check out our Curology Reviews to learn more about what to expect from this box! Dollar Shave Club is a monthly razor blade subscription service. (And they now offer grooming products like shave cream, hair products, etc.) Subscriptions start at $6 a month for their most popular model (the 4X) and you get a free handle with your first month. For a limited time, get your starter kit (including razor handle + 4 blades and sample sizes of shave gel and other products) for just $5 with free shipping! No coupon needed, just use this link! Check out our Dollar Shave Club reviews to see what you can expect with this subscription! FilterEasy (starting at $11.97 per filter per month with free shipping) is a furnace and air filter subscription service that ensures you always have clean air in your home. Choose your size and whether to receive deliveries every 1, 2, or 3 months, and you’ll never forget to change your filters again! Use this link to get your first filter free, including free shipping! Liz is the founder of My Subscription Addiction. She’s been hooked on subscription boxes since 2011 thanks to Birchbox, and she now subscribes to over 100 boxes. Her favorites include POPSUGAR Must Have, FabFitFun, and any box that features natural beauty products! I’ve been getting Sephora Play boxes for a couple years now, and i gotta tell anyone considering joining up some of the shenannegins going on. Every month used to include a drawstring cloth largish makeup bag that was easily giftable and reusable with a different design every month. About 3 months ago they stated sending a new style of makeup bag that is obviously cheaper for the company. They claim it’s recyclable friendly, but i dont get how plastic is better than cloth. They’re smaller, same design each month, and not purse friendly. I wanted to email them a complaint about this, and to give subscribers the free choice if they want the old drawstring cloth bags or the new crappy el cheapo glorified ziplock bags. I triws to send thia via their site but have been unable to send it cuz the page locks. Thanks for the heads up, you would think Sephora would be classier than that! I rarely comment on websites or about anything really but I feel the need to alert people to my very bad experience with Luxy Purse. I signed up for my first purse with the 50 % off code and decided within hours that maybe the subscription site just wasn’t for me. I ordered late evening and phoned immediately the next morning when I was unable to contact anyone that night to discuss possibly cancelling the order I started. When I spoke to the customer rep., she informed me that I could not stop the mailing of my first purse even though I made the order less than 8 hours previously. She claimed it was already mailed. I told her that was fine but I wanted to cancel my subscription and could I refuse the package when it arrived or could she go ahead and email me a return label to speed up the process of a return. She told me she could do neither of them. She told me to wait for the purse then call back. Five days later, I received an email telling me my purse was just shipped (odd I was told it was already mailed). When I finally received the purse it was small, looked nothing like the one I picked out and was made poorly. I also discovered I was charged $39.95 not the discounted $19.95. I called the customer rep again. Oddly 3 weeks later and I managed to get the exact same customer rep. She told me again she would not cancel my subscription until I returned the purse. I asked why she couldn’t cancel my subscription without the return of the purse? The purse I had already paid for had nothing to do with receiving future purses and the company had already received my money for the first purse. She said they had to make sure I returned the first purse because I was trying to work the system. I have no idea what that means since I paid for the first purse as agreed by their website and I am given the chance to return it and opt out of future purchases. How am I working a system where I am keeping nothing? Also, if I didn’t return the purse like I said I was, I still paid for it and I paid more than the agreed upon amount. Again I told her one had nothing to do with the other. She still informed me subscriptions could not be cancelled until purses were returned. I had to threaten to call the Better Business Bureau and tell her that I would contact my attorney concerning possible fraud before she considered cancelling my subscription. She claimed she terminated my subscription and sent an email with a return label and an email confirming my cancellation. I have yet to receive either. I feel that I was scammed and I will never receive a return label or a refund for my very disappointing purse. Live and learn I guess but I have never had a bad experience with a subscription service until now and I wanted to inform others about what had happen to me. I will be sharing with the Better Business Bureau as well. The BBB will make sure you get your money back and things set right. They’re actually very competent. The BBB doesn’t DO anything. They will facilitate nothing. All they do is inform the company there is a complaint and allow them to respond. Ratings also don’t mean anything any longer, companies can pay for A ratings regardless of the number of complaints. Every code I try to use is not valid. I just received doorstep desserts, I got two boxes for $3.75 each which included shipping with a coupon code! They are regularly $15.00 I can’t wait to try it! I just got my scentbird. It was smaller than expected. But its a lot of perfume. I love it. I also get birch box. Its pretty good. I love glossybox better though. You get alot of full size products and also large samples. I am getting a organix box soon. We will see i found it on crate joy. I’m always so jealous of the Hello Fresh and Freshly offers! As a Canadian, it’s not worth it to try to them yet (even if they were available to Canadians directly). BarkBox Coupon – First Box For $5 + Bonus Toy! Today Only! CAUSEBOX Deal – FREE SWIG Water Bottle! Loot Crate Sale – 50% Off Select Crates! "I said nothing bad, I tried posting 3 times and not a single one posted. I don't know what is more frustrating, ..."
"I'm getting tired of typing out comments that never post! I guess only some opinions matter here!" "This is so weird wasn't this the collaboration box with Carli Bible? I got the Natasha denona single eyetshadow ..."